Jens Nielsen has an MSc degree in Chemical Engineering and a PhD degree (1989) in Biochemical Engineering from the Danish Technical University (DTU), and after that established his independent research group and was appointed full Professor there in 1998. He was Fulbright visiting professor at MIT in 1995-1996. At DTU he founded and directed Center for Microbial Biotechnology. In 2008 he was recruited as Professor and Director to Chalmers University of Technology, Sweden, where he is currently directing a research group of about 60 people. 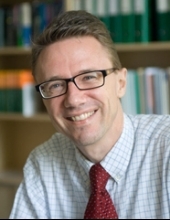 Jens Nielsen has published so far more than 570 papers that have been cited more than 21,000 times according to Web of Science (current H-factor 71) 40,000 times according to Google Scholar (current H-factor 97), and co-authored more than 40 books. He is inventor of more than 50 patent and has founded several biotech companies. He has received numerous Danish and international awards and is member of the Academy of Technical Sciences in Denmark, National Academy of Engineering in USA, the Royal Danish Academy of Science and Letters, the American Institute for Medical and Biological Engineering, the American Academy of Microbiology, the Royal Swedish Academy of Engineering Sciences, the Royal Swedish Academy of Sciences, and the Royal Society of Arts and Sciences in Gothenburg. He is a founding president of the International Metabolic Engineering Society. Dynamic engineering of 1-alkenes biosynthesis and secretion in yeast. Editorial: Where is scientific publishing heading? Predicting growth of the healthy infant using a genome scale metabolic model. Adaptive Evolution of Phosphorus Metabolism in Prochlorococcus. Evolutionary engineering reveals divergent paths when yeast is adapted to different acidic environments. Affibody Scaffolds Improve Sesquiterpene Production in Saccharomyces cerevisiae. Heme metabolism in stress regulation and protein production: From Cinderella to a key player. Do genome-scale models need exact solvers or clearer standards? Modifying Yeast Tolerance to Inhibitory Conditions of Ethanol Production Processes. Genome-scale modeling of human metabolism - a systems biology approach. Assessing the human gut microbiota in metabolic diseases. In silico genome-scale reconstruction and validation of the Corynebacterium glutamicum metabolic network. Can yeast systems biology contribute to the understanding of human disease?